IBS have some of the most powerful industrial equipment in the industry such as the Fruitland RCF 1200 Vacuum Pump which is theheaviest duty of IBS rotary vane vacuum pumps. The 1200LUH designates Left hand rotation, Upper diverter valve with a Hydraulic drive adapter plate. The 1200 series vacuum pump is used in environmental and heavy duty industrial applications. Do you know that IBS will do a free vacuum loader health check to ensure your vacuum loader is in full working order? A hassle free with no obligation free health check will give you peace of mind to ensure your equipment is safe to continue working. IBS vacuum booster HV pump systems combine Edwards expertise in manufacture and assembly of complete industrial vacuum systems with Dresser’s world-renowned Roots pump technology. These pumps are backed by Edwards Dry Pumps or Mechanical Booster pumps. This range of high capacity mechanical booster pumps is designed to operate reliably for long periods with no need for maintenance. The HV pumps can be fitted with an inverted to allow them to be started at atmospheric pressure, at the same time as the dry pumps. 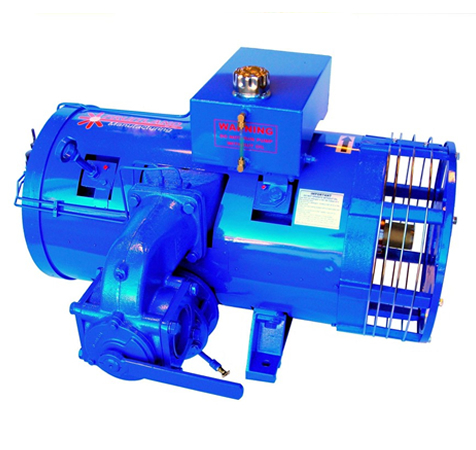 IBS have many years of expertise in repairing and Reconditioned Blowers to manufacturer’s specifications using state of the art reclamation technologies to repair worn surfaces and reinstate machines which may otherwise be beyond salvage (and probably would be written-off by the manufacturers themselves). Immediate deployment of these technologies also eliminates delays in waiting for major spare parts such as rotors to arrive from the manufacturers. IBS always go over and above to ensure their clients have minimal downtime or loss of production, they offer a repair and reconditioning service for most blower makes and models including Aerzen, Dresser, Robuschi and Hick Hargreaves. Simply return your damaged machine for them to inspect. If required, they can attend site to remove the blower for you.